Saturday, October 6, is Star Wars Reads Day, and I’m happy to be part of the celebration. Fans will be gathering at bookstores across the U.S. to promote reading and to pick up some fun freebies, and some of the events will feature Star Wars writers like me and costumed characters from the 501st Legion, the Rebel Legion, the Mandalorian Mercs, and the R2 Builders Club. I’ve been lucky enough to contribute to more than two dozen Star Wars books. My area of expertise lies in encyclopedias, atlases, essential guides, and visual dictionaries—the works of non-fiction that help illuminate a world made up of only fiction. It gets a little strange sometimes, but it’s hugely rewarding, even more so when I get to share behind-the-scenes details with readers. I love making endnotes for my books as a sort of “DVD commentary. My new release Book of Sith: Secrets from the Dark Side came out in early 2012. 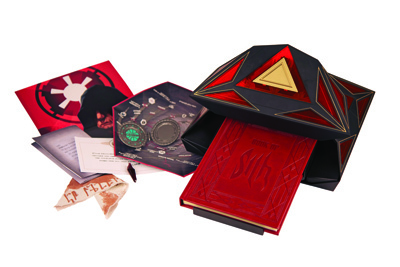 Like its predecessor The Jedi Path: A Manual for Students of the Force, the Book of Sith is an in-universe artifact. A weathered-looking journal and a handful of removable souvenirs are packed securely in a mechanized case with lights and sounds. The backstory is that this is Emperor Palpatine’s book, and that he created it by combining fragmentary texts written by five masters of evil: Sorzus Syn, Darth Malgus, Darth Bane, Mother Talzin, and Darth Plagueis. 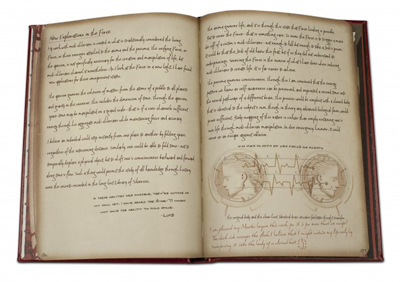 Palpatine added his own section at the end, and as you leaf through the pages you’ll find handwritten comments from Mace Windu, Darth Vader, Luke Skywalker, and other famous Star Wars figures who couldn’t resist adding their own thoughts. 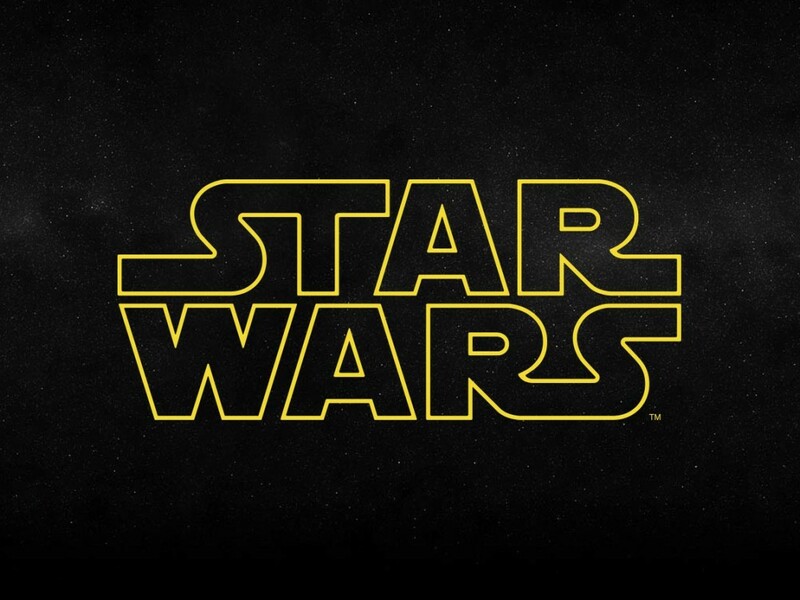 In honor of Star Wars Reads Day, I’m happy to post the newest entry in the Book of Sith endnotes as original content here at the Star Wars Blog. You can find all the previous entries on my blog. In this entry, let’s meet Darth Plagueis! As mentioned above, the Book of Sith is made up of texts written by different Sith throughout history. They appear in chronological order starting with Sorzus Syn and moving through Darth Malgus, Darth Bane, and Mother Talzin. This section is by Darth Plagueis, who was the Master of Palpatine (also known as Darth Sidious). Because Palpatine compiled the Book of Sith, Plagueis is, of course, the final author before Palpatine himself. Because it’s presented as a fable, it’s somewhat unclear on first viewing whether Plagueis is an actual person. But the implication is that Palpatine was the apprentice and that he bumped off Plagueis. This was confirmed in the Expanded Universe, and you can learn a lot more about the relationship between Plagueis and Palpatine in the 2012 novel Darth Plagueis by James Luceno. The passage above indicates that Plagueis was something of a biologist of the forbidden sciences, or a Doctor Frankenstein of the dark side. I liked that hook, since it really made this section different from the sections that came before it. Sorzus Syn was the mage, Malgus the warrior, Bane the zealot, Mother Talzin the shaman, and Darth Plagueis the scientist. p. 129: On this page, Plagueis writes, “The galaxy’s leading scientific minds are largely ignorant of the Force, and the galaxy’s most skilled Force-users reject science.” This sentence encapsulates everything I wanted to do with Plagueis. He’s a scientist who’s trying to measure magic. That’s not a new concept in fiction. If the rules of magic are consistent in your fictional universe, then there’s really no reason why magic and science should be at odds. In those kinds of universes, magic is a phenomenon like electromagnetism, and it has measurable, repeatable results. But usually the rules of magic in fictional universes aren’t consistent. The magic responds to indefinable things like “the hero’s courage,” for example, or the magic is bestowed by an unknowable, unpredictable god-figure. In Star Wars, the Force is more like the latter kind of magic. The Jedi often speak of the “will of the Force,” which means that it has intent and consciousness. The Force is alive, and it’s a lot more like God than it is like electromagnetism. But because Plagueis thinks it is like electromagnetism, he’s never going to get the answers he seeks. p. 130: The “Influencing the Midi-chlorians” section jumps straight into every fan’s favorite topic when it comes to the prequels. But in light of how Palpatine describes Darth Plagueis in Revenge of the Sith (“he could influence the midi-chlorians to create life”), the topic of the midi-chlorians needed to be front and center. So here comes my favorite part. As Plagueis warms to his topic he starts throwing around pseudo-scientific terms. Remember, this isn’t our universe. It’s a galaxy far, far away imbued with an omnipresent Force. Because of this, I did a lot of preparatory reading on outdated scientific concepts that were developed during ancient Greece and the Middle Ages. Back then, people thought that there might actually be an energy field created by all living things that surrounded them, penetrated them, and bound the galaxy together. What if they all turned out to be right? Isn’t that interesting? Of course Aristotle was wrong, but then again he was no dummy. He was advancing a hypothesis based on the evidence available to him at the time. And from the perspective of his peers, he might have been right. Maybe if he’d lived in a universe suffused by the Force, he would have been right. p. 131: The artwork throughout the Darth Plagueis section is by the great Paul Allan Ballard. Paul did a fantastic job in making the illustrations resemble Renaissance-era sketches. 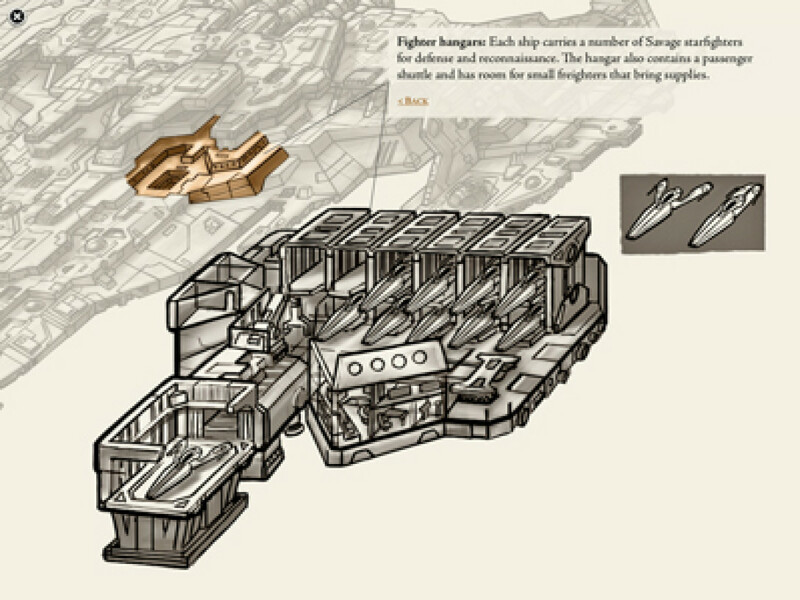 In fact, the overall design of the Darth Plagueis section, from the illustrations to the selection of the handwritten font, is intended to evoke Leonardo da Vinci. That extends to the illustration labels too! The triangular diagram on this page has labels in each corner, written in the familiar Star Wars alphabet of Aurebesh. But they’ve been printed backward, in an intentional nod to Leonardo da Vinci’s habit of mirror writing. If you don’t have time to translate, the labels on this diagram read ANIMAE, APERIEON, and PNEOOMAE (because Aurebesh, when used correctly, has characters that approximate certain sounds and isn’t just a letter-for-letter swap of English). p. 133: In the “Perpetual Life” section, Plagueis discovers how to impose his own will on the midi-chlorians to make them do what he wants. I wanted to document his experimental techniques because he’s still a diligent researcher and student of the scientific method, even if the universe he inhabits isn’t our own. The diagram on this page shows a needle and two groups of cells, labeled A and B. The words are written in Aurebesh mirror writing. Group A reads RESISTS IMPOSITION. Group B reads OVERRIDDEN! (yes, that’s an Aurebesh exclamation point). p. 134: In the “Concentrating the Force” section, Plagueis records his successes at getting midi-chlorians to produce a fertilized egg, or zygote. This might seem like an odd experiment, but remember that one of Plagueis’ goals is to create life. And there are hints in the movies that Anakin Skywalker, the Chosen One, is the product of this experimentation. As his mother Shmi tells Qui-Gon in The Phantom Menace, “There was no father. I can’t explain what happened.” This could be a mythological virgin birth reference, but when you combine it with what Palpatine says in Revenge of the Sith, you can come up with a more sinister origin if you wish. The diagram on this page shows data readouts for three different test subjects, labeled A, B, and C. The Aurebesh mirror writing at the top simply reads SUBJECT A.
p. 135: In the “Philosophy of Life” section, Plagueis shares his thoughts on life itself. To him, it’s nothing special. Life is so common that it’s practically worthless, but his life is priceless and worth preserving for all time. Fold Space. This is essentially teleportation, and was introduced in the novel Vision of the Future as something practiced by the mysterious Aing-Tii monks. Sever Force. This removes a Jedi’s ability to use the Force, and was introduced in the Tales of the Jedi comics during the 1990s. Given what we’ve learned of the Force since then, I added the detail that this works by triggering a mass die-off of the subject’s midi-chlorians. Transfer Essence. This allows somebody to move their life-essence, or soul, into another being. It’s generally considered a dark side ability. It first appeared in the Dark Empire comics, and was the means by which the original Emperor Palpatine came back to life after getting killed off in Return of the Jedi. Plagueis also makes a comment that he wishes he could visit the long-vanished Library of Silversisi, which I intended as a Star Wars analogue for the lost Library of Alexandria. p. 137: The label on this diagram (which doesn’t use mirror writing) translates as ALL LIFE IS MADE BY THE DEATH OF OTHERS. It fits within the surrounding context, since Plagueis is discussing how to use body-swapping to extend his life by killing the consciousness of the host. But it’s also another Leonardo da Vinci reference! It’s a very slight variation on Leonardo’s quote, “Our life is made by the death of others,” which appeared in his journals. p. 138: In the “Transcending Death” section, Plagueis explores the implications of Force ghosts. Remember, Plagueis is a rational-minded guy who exists in a setting where the Force is a reality. He’s comfortable with the idea that the “vital spark” of consciousness, the soul, exists apart from the body (it’s part of the pneuma). But he also believes that the unique pattern of the vital spark quickly degrades into nothingness when it’s not anchored to a biological system. Plagueis doesn’t really believe in life after death, not really. To him the pattern that makes you “you” is just a finger of smoke that blows apart in the breeze. p. 139: And so we come to the “Netherworld and Chaos” section, which is where Plagueis weighs in on the Star Wars equivalents of Heaven and Hell. The Netherworld was introduced as a peaceful place where people like Yoda and Obi-Wan go when they die, all the way back in George Lucas’ early drafts of Return of the Jedi. Chaos is the maddening Sith equivalent of the Netherworld, and I believe it dates back to the early 1990s Dark Empire comics. To Plagueis, these realms aren’t real things. The peacefulness of the Netherworld is just the perception of a weak mind accepting the dissolution of its energy pattern. The confusion of Chaos is what a strong mind experiences when it’s fighting back against the same. This is one of the reasons why Plagueis wants to extend his life so badly, and of course his interpretation paints the Sith in a flattering light. “Let the weak have their peace,” sneers Palpatine, in a comment. p. 140: In the “Sith Spirits” section, Plagueis actually meets a Force ghost. He visits the Tomb of Sorzus Syn on Korriban (in a callback to the first author of the Book of Sith) without success. But then he’s confronted by the spirit of Sith Lord Marka Ragnos, from the Golden Age of the Sith comics and the game Jedi Knight: Jedi Academy. Ragnos denounces Plagueis. An unimpressed Plagueis wonders why he’s suddenly hallucinating. It’s like Jacob Marley showing up to haunt James Randi. p. 142: In the “Prophecy of the Chosen One” section, Plagueis discusses the legend of Mortis. This is the realm that’s shown in Season Three of Star Wars: The Clone Wars, specifically in the episodes “Overlords,” “Altar of Mortis,” and “Ghosts of Mortis.” I really loved the way these episodes expanded the mythology of Star Wars by introducing immortal deities called the Father, the Son, and the Daughter, but Plagueis isn’t a fan. He dismisses the Jedi belief in a Chosen One who will bring balance to the Force, and he points out that he could simply induce the midi-chlorians to create life (generating a being with a midi-chlorian concentration of 20,000 per cell!) that would meet their definitions of a Chosen One. p. 144: In the “Culmination of the Sith’ari” section, Plagueis discusses the Sith version of the Chosen One prophecy. The Sith’ari is a running theme throughout the Book of Sith, with everybody wanting to claim the title of the Ultimate Sith. Plagueis is no exception. Here he finds a scientific justification for the act of prophecy (the aperion influencing the nature of space-time), and happily proclaims himself the Sith’ari. Darth Plagueis ends his section with a vow to eliminate superstition and bring about an age of “truth, rationality, and the rule of the gifted.” Oh, Plagueis. The first two sounded nice, and then you had to add that last point!